Cadence Design Systems and ArcSoft announced they have partnered to develop AI and vision applications for Cadence Tensilica Vision DSPs. ArcSoft has collaborated with Cadence to port beauty shot, high dynamic range (HDR), bokeh and facial unlock applications to the Vision P6 DSP. The software environment includes complete, optimized support for more than 1,500 OpenCV-based vision and OpenVX 1.1 library functions. 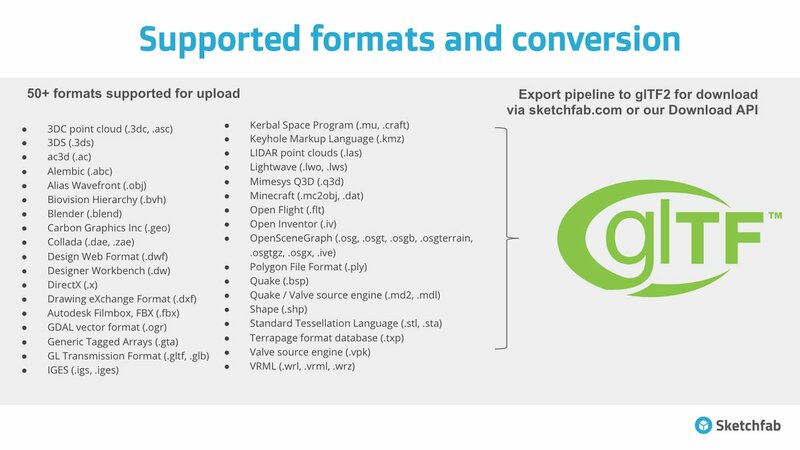 The Khronos Group is proud to have a liaison with Open Geo Spatial who today announces their adoption of 3D Tiles as a Community Standard, built on glTF3D transmission format. 3D tiles, submitted to the OGC by a team led by Cesium, is designed for streaming heterogenous 3D geospatial content to clients for visualization. Neil Trevett, Khronos President, commented “It is great to see the first fruits of the recent liaison agreement between OGC and Khronos come to life with the 3D Tiles Community Standard being built on Khronos’ glTF 3D transmission format. Khronos looks forward to exploring multiple upcoming opportunities to cooperate with OGC to build valuable standards and initiatives for the geospatial industry.” Read the press release. VkRunner is a tool written by Neil Roberts, inspired by shader_runner. VkRunner was the result of the Igalia work to enable ARB_gl_spirv extension for Intel’s i965 driver on Mesa, where there was a need to test driver’s code against a good number of shaders to be sure that it was fine. Neil has written a blog post with example code on how to use VkRunner. The Khronos Group would like to welcome its newest Contributor Member GuangDong OPPO Mobile Telecommunications Corp. For the last 10 years, OPPO has been focusing on manufacturing camera phones, while innovating mobile photography technology breakthroughs. Today, OPPO provides excellent smartphone photography experiences to over 200 million young people around the world. Helping to make the SDL cross-platform library more attractive for mobile/Android developers, the latest SDL2 code has an initial OpenSL ES implementation. OpenSL ES is the Khronos Group's effort as an industry-standard sound library for embedded hardware while offering up 3D positional audio support, optional integration with OpenMAX, audio effects, and other advanced sound capabilities. More details may be found on Phoronix with a diff of the merge here. Wine 4.0 is released bringing initial Vulkan graphics API support, Direct3D CSMT is enabled by default, early Direct3D 12 support via VKD3D, continued HiDPI work, various OpenGL improvements, and more. There is a very brief but official announcement on the Wine News feed. Intel’s Brent Insko has taken over as the Chair of the OpenXR working group after Epic’s Nick Whiting passed the torch. The pair say the OpenXR effort is still going strong, and a progress update is planned for March. Read more from the interview on Road To VR. Less than a week left to submit your paper, talk, poster, tutorial or workshop to the annual OpenCL conference, IWOCL 2019! This year Northeastern University is pleased to welcome the 7th Annual International Workshop on OpenCL to Boston in 2019. The new MoltenVK now allows run-time configuration of MoltenVK via environment variables, support for GPU switching was added and is enabled by default, queue family specialization was added but currently disabled by default, synchronous queue submits was added and enabled by default, there is now support for four queue families, support for the VK_AMD_gpu_shader_half_float and VK_KHR_variable_pointers extensions, and updated against the latest SPIR-V Cross. There is also some fixes and other internal improvements. Checkout the Change Log on GitHub and read more about this update on Phoronix.